The recruitment industry undergoes regular legislation changes and updates, a good recruitment company will work with clients and candidates to put processes in place to stay compliant. At Capital, we take compliance extremely seriously and are constantly striving to develop our policy in line with the latest changes. When it comes to staying compliant in recruitment, there are a number of things to consider. With pages and pages of documentation, it’s easy to see how it can overwhelm many people. 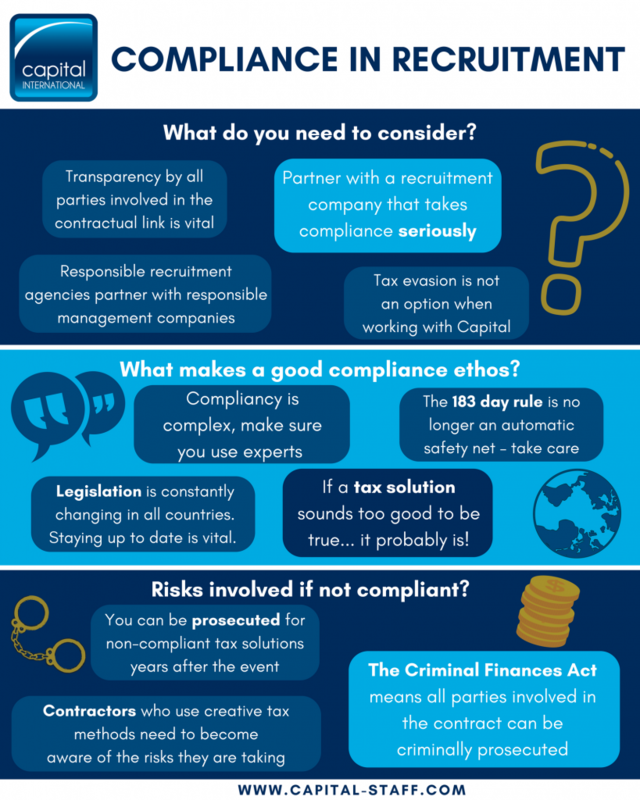 We have put together a quick snapshot of some of the points we believe employers should think about to ensure they stay compliant. Check out our recommended Management Companies, they can help you stay compliant and avoid penalties. Looking for your next engineering role?